Before looking at the details, let’s take a look at the Asus ROG Ryuo 240 water cooling system from all sides in our 360 degree view. 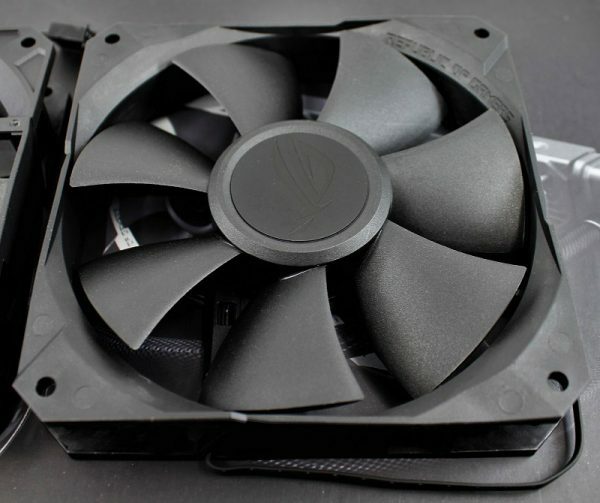 Let’s start with the two ASUS ROG RYUO Fan Model 12 DC 12V 0.58A fans. 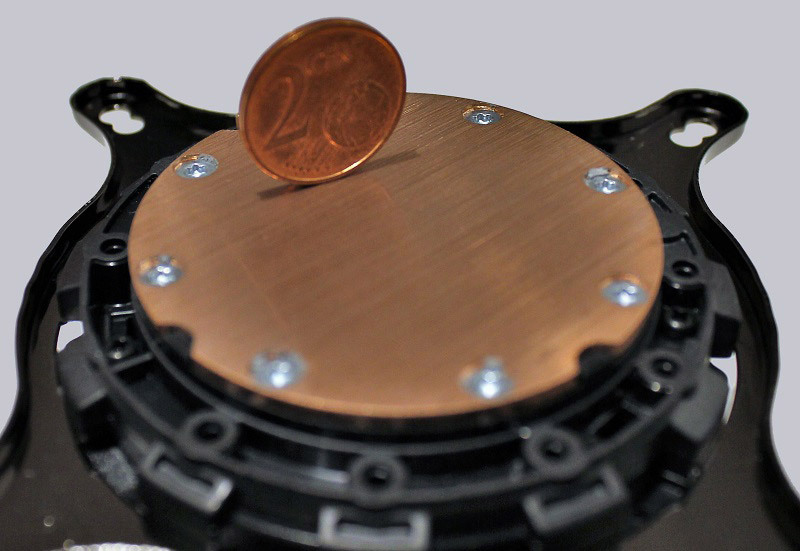 On both sides no rubber elements are attached for decoupling. The design is relatively simple black. On closer inspection we can see the ROG logo and a ROG lettering on the frame in the middle. 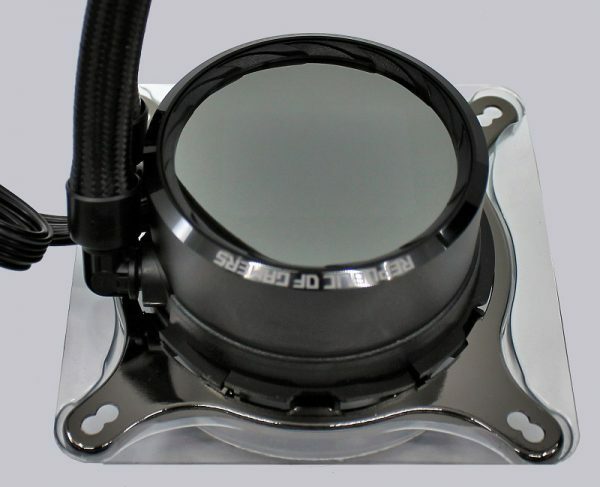 The CPU cooler has a recessed reflective surface in the lid, under which the OLED display hides. 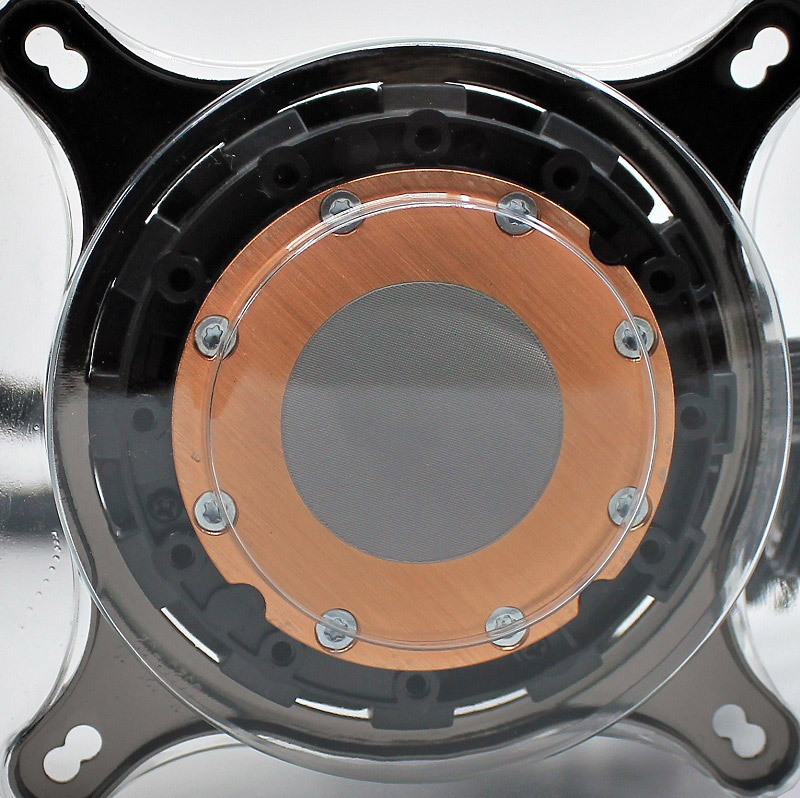 All around is the chic aluminum housing with milled ROG lettering. On the side next to the permanently installed cable harness is a micro-USB socket to connect the cooler via USB to the mainboard. The fixed cable harness also offers a SATA power connector, a 4-pin PWM connector and two 4-pin PWM sockets. The radiator base is provided in advance with thermal grease. In addition, additional thermal grease is unfortunately not included with the Ryuo 240. The cooler bottom has finely ground but is not polished. The cooler is connected to the radiator by covered tubes. 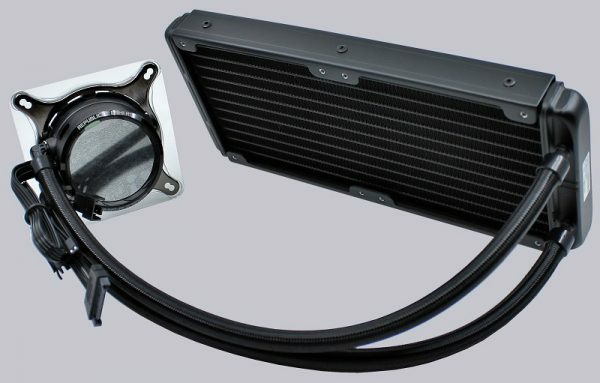 The radiator itself is a standard 240mm model of aluminum, as uses just of about every AIO watercooling.